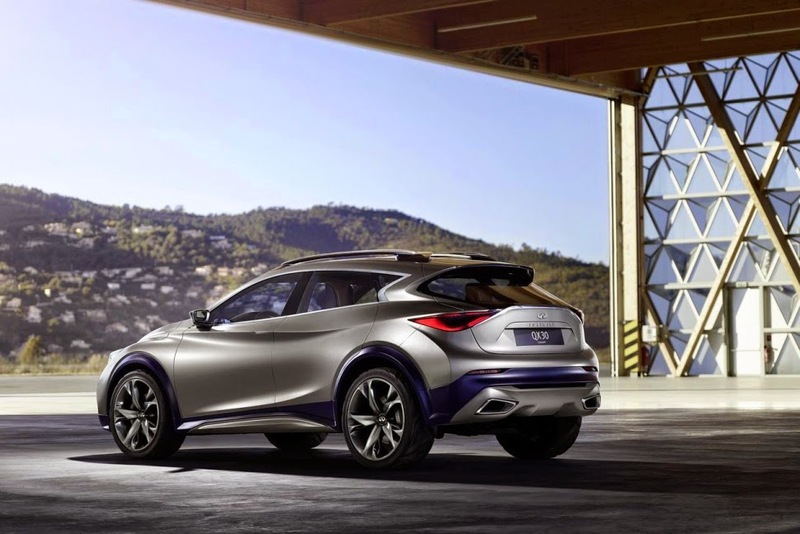 Infiniti QX30 will appear Concept world premiere of the Geneva Auto Show 2015. The concept of a premium compact crossover vehicle signaled the future and provide a strong indication of the brand's commitment to this segment. Before its debut ceremony coming up next month in Geneva, a photo shown the Infiniti QX30 Concept. Its face combining a smooth body lines with coupe style. "The QX30 Concept has been designed to make users feel safe and protected in, and consumers can encourage or out of town without worrying," claims Alfonso Albaisa, Infiniti Executive Design Director. The theme of 'stylish protection' was visible from the front to the stern. 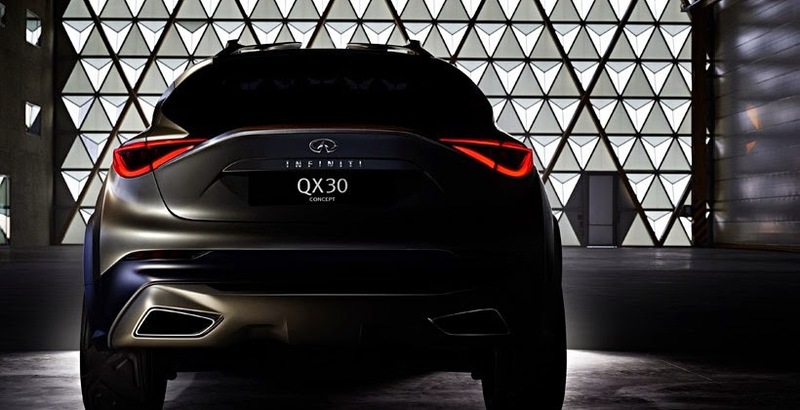 The QX30 Concept exterior with bold strokes combined aerodynamic aura able to highlight the athletic silhouette. And 21-inch alloy wheels and profile of larger tires makes it look more manly.